This entry was posted on Wednesday, May 27th, 2009 at 4:28 am and is filed under ScrewShield. You can follow any responses to this entry through the RSS 2.0 feed. Both comments and pings are currently closed. LOL. Automation is great although this automation system may give you carpel tunnel. 🙂 The assembly technique using the putty (on the project page) is a great idea. I usually use some black tape but may try the putty idea next time. So how do we get our hands on some? scienkoptic, we shipped our first batch to MAKE for Maker Faire, and sold out. 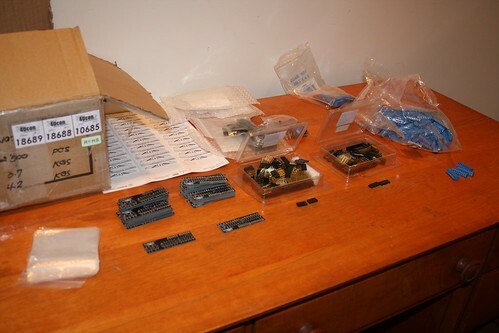 We’ll be shipping our next batch to MAKE, and you’ll be able to get it at http://makershed.com soon. We’ll also have links to suppliers on this web site soon! Thanks Alan! If you try it, let me know how it goes for you. I’m planning to try Sculpey and a few other types to see if there’s an ultimate straight soldering solution.